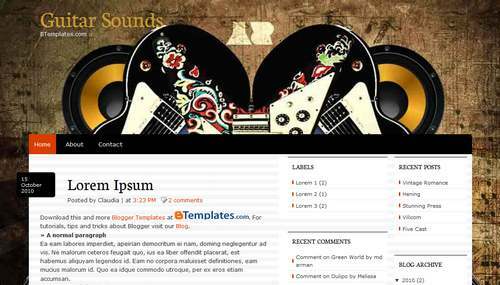 Guitar Sounds is a free blogger template with 3 columns, right sidebar and footer columns. Excellent layout for blogs about music. Wow.. Really this is great way to make money online.. But how to get that guitar sound from this template..
Big fan of Les Paul, love it.